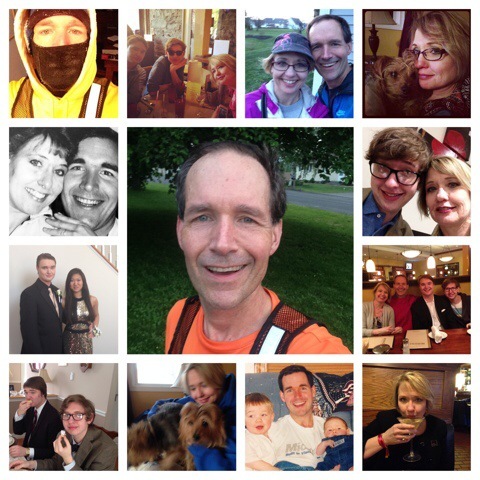 This entry was posted in Family, Happiness, Life Balance, My Running History, Running, Weight Loss, Wordless Wednesday and tagged Family, Happiness, Running by txa1265. Bookmark the permalink. What a fantastic way to end the series!!! You’ve inspired me to start the series! Bravo! Love this photo collage! Such a great way to end the series. I think I would have to do the same. How do you sum up all aspects of “you” in only one photo? Impossible! Totally agree – there was no way I could do just one. Well, sure there was, but this way said more of what I was thinking! True – and I think we saw a couple of those recently as well! Like you in a hat! The way I took it was that the ‘picture of me’ had to be ‘just me’ … which is why I wrapped the other aspects around myself. Thanks for sharing the 10 day journey, interesting material. I have no idea what pic I’d go with, no single image that I have captures a diverse enough perspective to count as “the one and only picture”. Collage seems like the only way. LOVE this and that collage is the perfect way to end this series. One of the many reasons I love your blog so much is that not only do you love to run, but you adore your family and balance all of your loves (including work) in such a wonderful way. I would (And will) most definitely pick a photo of Robyn, Ashton and I! Thanks Sara (#blush) … I don’t think that I could have a blog that restricted me from honestly putting out all of my loves and cares. Which is also why I love your blog! HAHAHAHA I love that you cheated. And I agree with Sara–perfect way to come full circle (lolz, just realized how hard I punned there). I’m going to do a one picture soon, I hope, so you’ll have to wait for that, but I think that it is so like you that the vast majority of your pics are of your family–they are what make you, you! I love this! What an amazing blog. I’m starting this challenge tomorrow! I know what one picture I would NOT use is the one I just got taken for my passport renewal. I look like a worn out thug.